Reprint of a classic text, revised and updated. 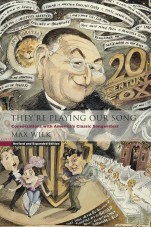 The careers, inspirations, and techniques of classic songwriters are revealed in Max Wilk’s unique profiles, comprised of anecdotes, remembrances, reflections, and commentary either by the lyricists and composers themselves or other show business professionals intimately associated with them. First hand oral history with the great songwriters, lyricists, and composers of what is now known as The American Songbook.